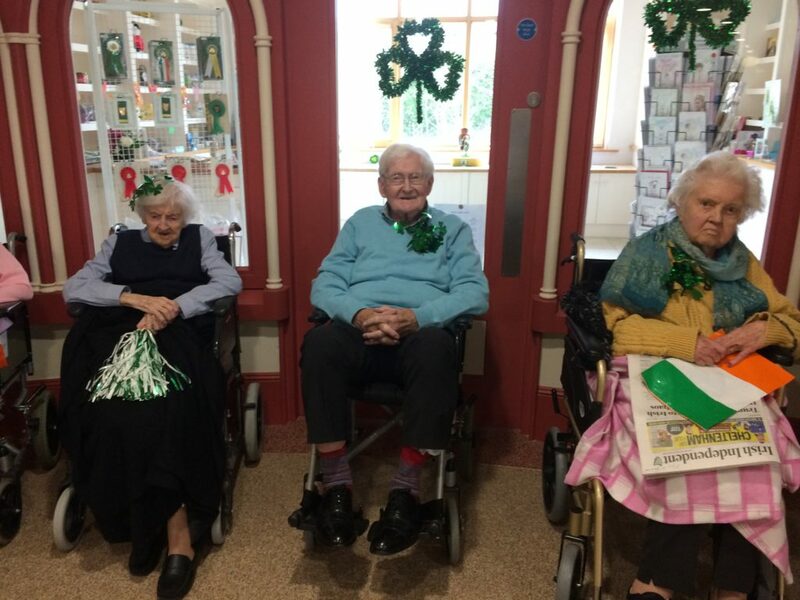 The week leading up to St. Patrick’s Day was very animated for our Residents in Waterford. 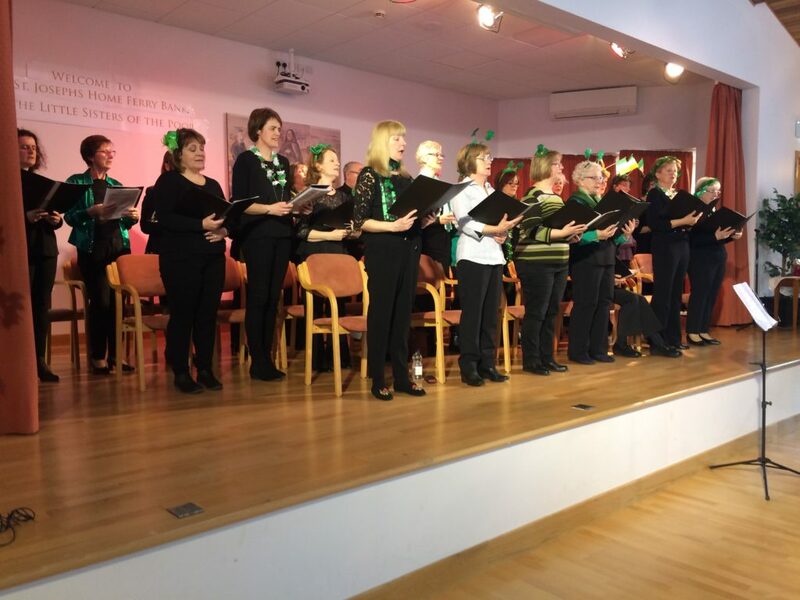 The Simply Singing Group from Slieverue entertained everyone with many old Irish Songs. 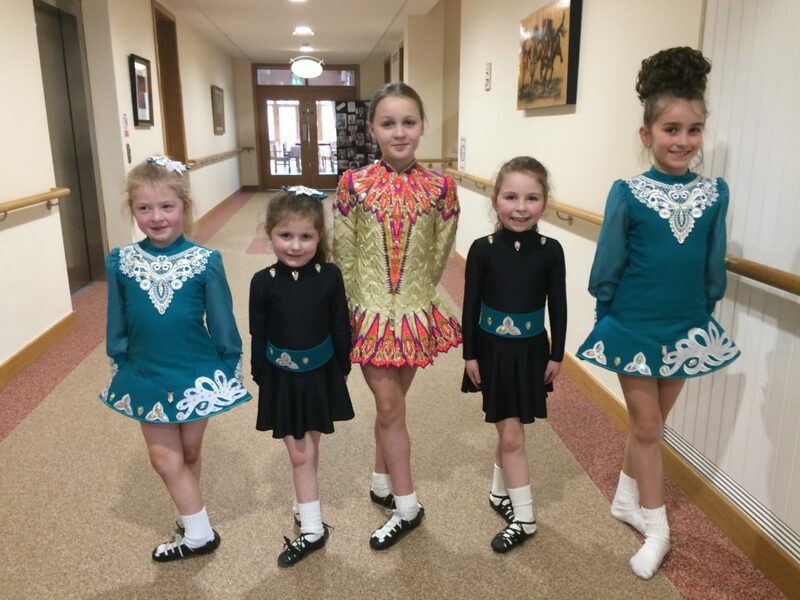 Five beautiful Irish dancers – aged 5, 6 and 9 gave a stunning performance at the interval. 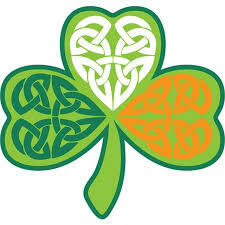 The 9 year old is taking part later in the year in the World Championship. 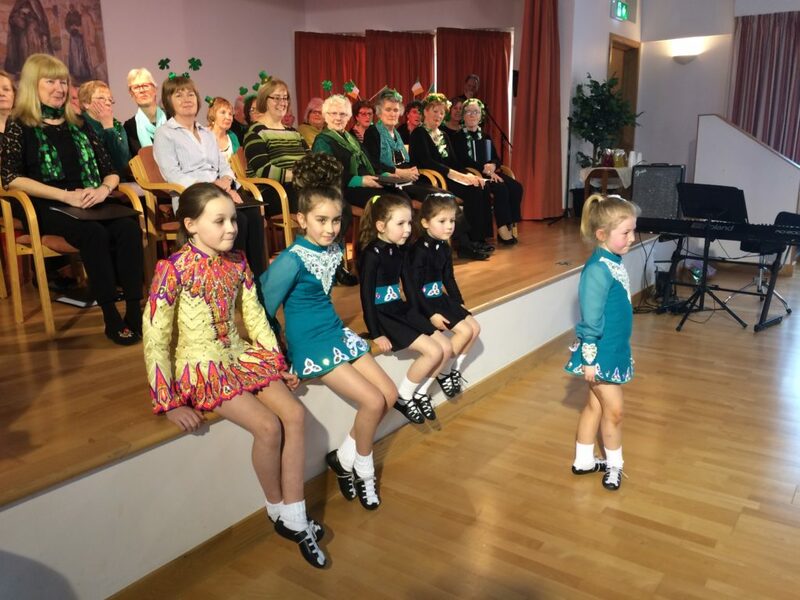 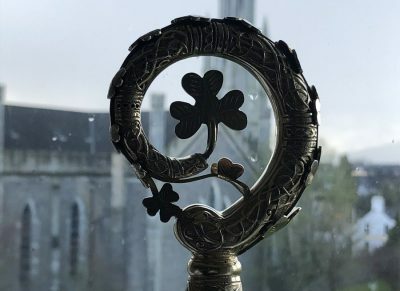 At 2.00 p.m residents, sisters and staff – all those who could gathered at the reception for the annual St. Patrick’s Parade by the children from Our Lady of Good Counsel National School with all their teachers – class by class. 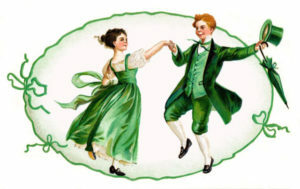 There was a tremendous atmosphere and they enjoyed the little treats we offered as they paraded around. 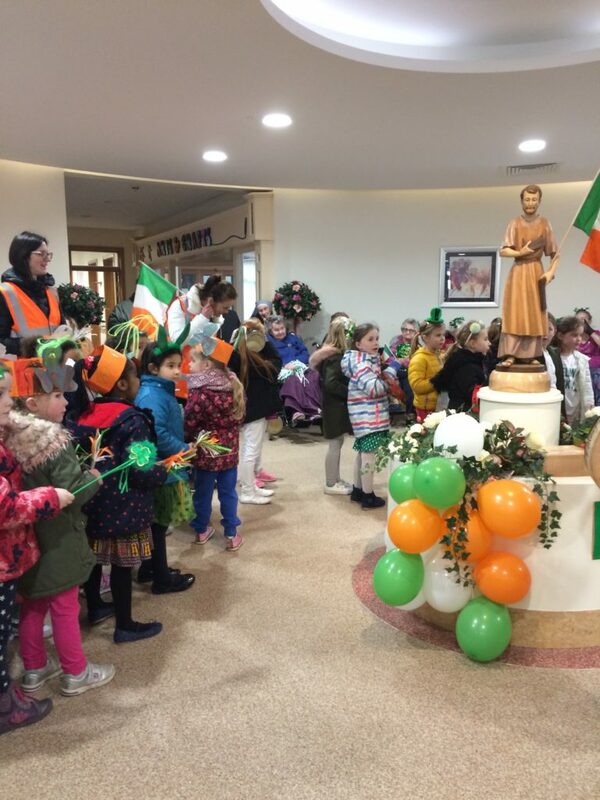 It is quite a long parade for the children, beginning at their School, parading to Madonna House for the sisters to enjoy them and then on to our Reception, singing all the time different songs, starting with the Gaelic version of the National Anthem.A lovely week was enjoyed by all.